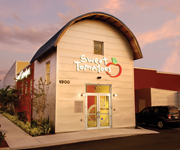 SAN DIEGO: Garden Fresh Restaurant Corp., the parent company of the eateries Souplantation and Sweet Tomatoes, recently named Fleishman-Hillard as its AOR, following a competitive review. The company plans to open 11 new restaurants in the next year and a half, and enlisted Fleishman to assist in the creation of a stronger national PR program, said Erika DiProfio, PR manager at Garden Fresh Restaurant Corp. It currently has 111 company-owned restaurants in 15 states. Fleishman began work on January 1. In addition to national PR, it will build brand awareness in current markets using grassroots outreach and work on “building anticipation” for forthcoming restaurants in new markets, she added. Additionally, the agency will build on existing programs, such as the company's “Lots to Feel Good About” initiative, and work side by side with Garden Fresh's digital AOR, Red Door, to reach on-line consumers. Della Sweetman, SVP, partner, and GM at Fleishman, said critical online targets will include mom, foodie, and health networks. It plans to leverage business angles to media, like company loyalty and rewards programs. One of its first tasks will be the February launch of “potato month” in its restaurants, which came about due to customers' requests for more of the vegetable, DiProfio said. The company's expansion and increased PR activities prompted it to seek out a firm with the right national resources, DiProfio noted. Outgoing agency Benedetto Communications could not immediately be reached for comment, but it was one of three finalists including Fleishman and Coyne PR. Initially, eight firms participated in the review. Update: PRWeek previously reported Garden Fresh Restaurant Corp. plans to open 11 new restaurants in the next year and a half. Following publication of that report, Garden Fresh Restaurant Corp. amended its statement to instead reflect the company's recent decision to open” several” new restaurants within the next three years.